Samsung recently released the Samsung Galaxy S4 LTE-A SHV-E330S, world’s first smartphone to feature LTE-A or LTE Advance technology. Not only that it is capable of up to 150Mbps connection speeds, which is 2x faster than your regular LTE connection, it is also powered by a Quad Core Snapdragon 800 processor. See more details below. The Samsung Galaxy S4 LTE-A, which is first available for SK Telecom in Korea, has two major unique features compared to its S4 brothers. First is the LTE-A technology built in this product, and second, it is powered by a more powerful Snapdragon 800 SoC processor, the same processor that is powering the recently announced Sony Xperia Z Ultra. As of to date, the Galaxy S4 LTE-A, sometimes referred to as Galaxy S4 Advanced, is the world’s first LTE Advanced-capable smartphone. It’s basically 10x faster than a typical 3G connection. Imagine an 800 Megabyte file will only take you around 40 seconds to download. That’s really really fast. 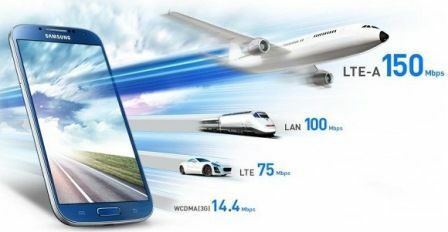 The Samsung Galaxy S4 LTE-A SHV-E330S is also the fastest amongst its siblings, not only in connection speed, but also in terms of processing power. 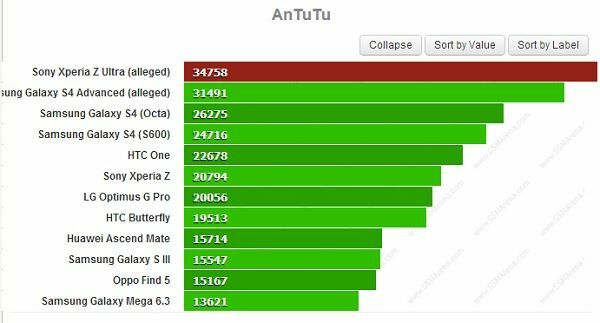 Thanks to the Qualcomm Snapdragon 800 Quad Core processor, clocked at 2.3GHz, that is built in this device, the Galaxy S4 LTE-A is able to reach a score of 31491 in AnTuTu benchmarks. It’s a tad slower compared to Xperia Z Ultra, but it’s definitely faster than the Galaxy S4 Octa Core Exynos version. The Samsung Galaxy S4 Advance measures 136.6mm x 69.8mm x 7.9mm and weighs only 131 grams. The rest of the specifications are just the same with the other versions of Galaxy S4, like 5-inch Super AMOLED display, 32GB built-in memory, 13 megapixel rear facing camera, IR port, microSD card slot and the rest. 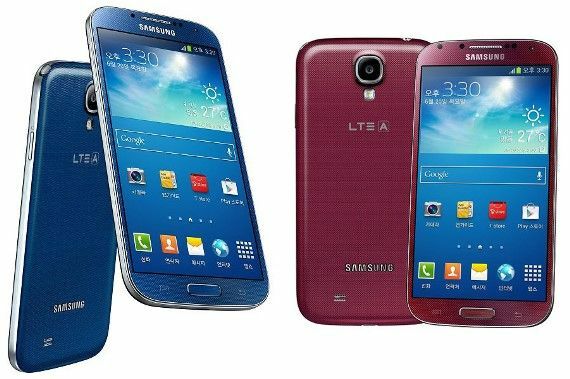 The Samsung Galaxy S4 LTE-A is available in two colors, Blue Arctic and Red Aurora color scheme, and more color options will be available at a later date. See more details from the specification table below. The price for the Samsung Galaxy S4 LTE-A is unknown as of to date. But it is expected to have a higher price compared to its siblings. 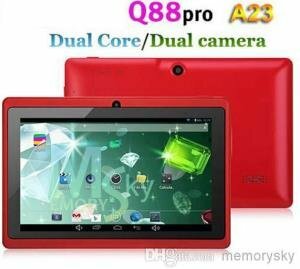 There is also no information yet if this device will also be available in international markets or other carriers.